Hayden is still fighting and her parents are still very much needing prayers and love sent her way. The outpouring of love via #ArtForHayden on Instagram and Twitter and Zentangle Prayers for Hayden on Facebook has been humbling, to say the least. 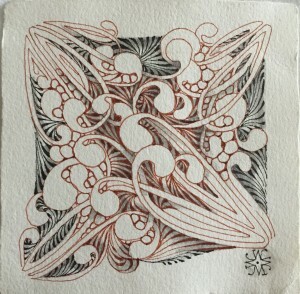 Dozens of people have posted artwork of all media (not just Zentangle) and prayers, love, wishes and wisdom so generously. I believe with my whole heart this is helping Hayden with her fight and her parents with their journey through this nightmare. Please keep them coming. I’ve posted a gallery of the pieces out there so far with credit to the original artist. Just a couple of call-outs here. 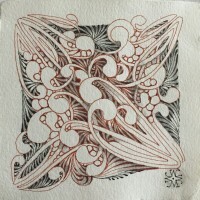 Today I was lucky enough to get to visit Maria and Rick at Zentangle HQ (i.e. 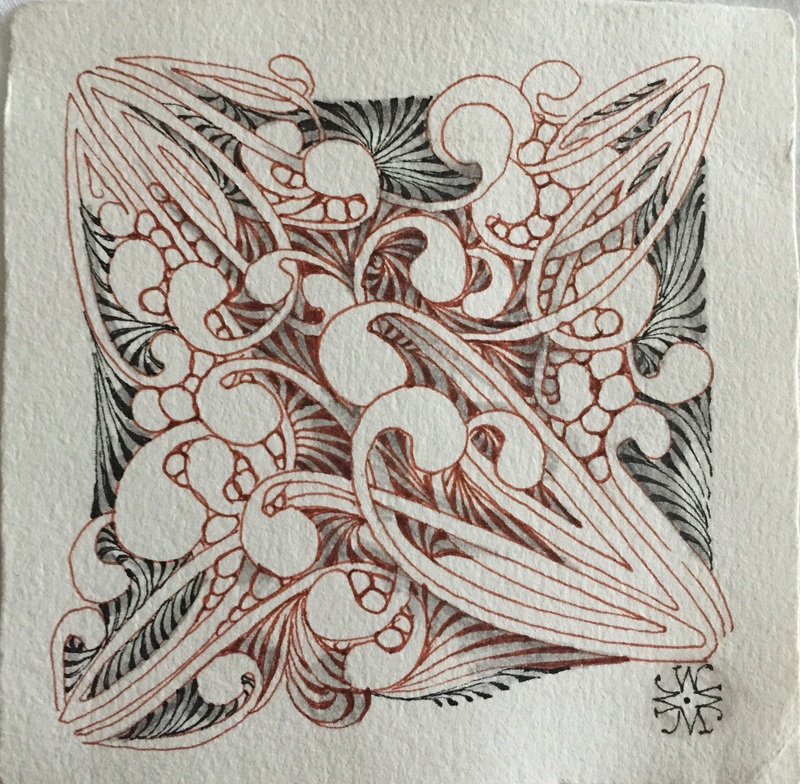 their home) and share how much the Zentangle community is truly a warm, giving, generous collection of people from across the world with whom I am proud to be associated. Maria was kind enough to contribute this tile for Hayden. By the way, their home is a reflection of their spirits…beautifully humble and eclectically quaint. It was a treat to be welcomed and to spend the time with them. Another entry, that I thought was a fantastic idea because it will be used and re-used with Hayden’s name associated with it, comes from a fellow CZT, Teresa Clerc. She had recently designed a new tangle and named it in Hayden’s honor. 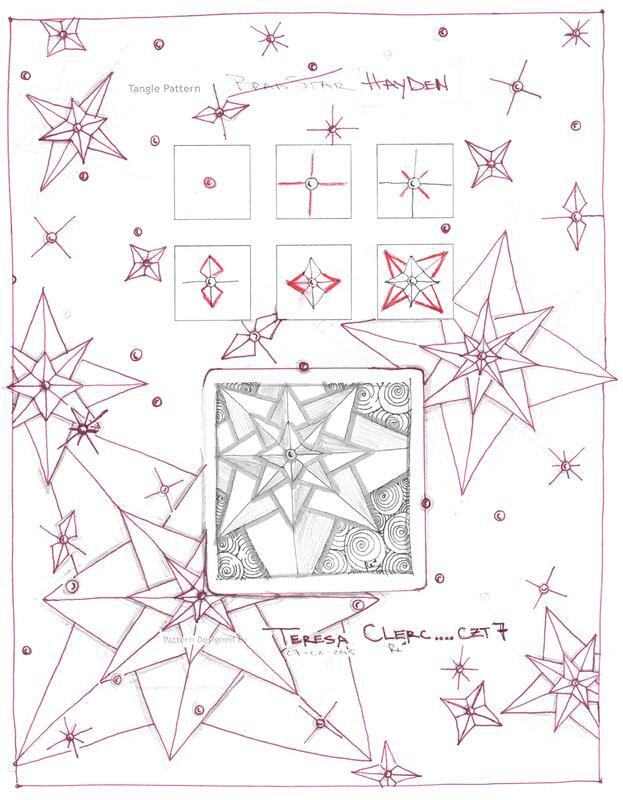 I’ll definitely be trying this out this week and I hope many others will to, then share their creations on Hayden’s Zentangle Facebook page, or with #ArtForHayden on Instagram or Twitter. Please take a few moments to check out this gallery and think about Hayden and her fight. And if you know anyone who can contribute, just share the Facebook page or Twitter/Instagram hashtag #ArtForHayden (or post a link to your blog in the comments and I’ll share it for you). Thank you so much. Hi Cari! I tried sending an email, but I don’t think it went through. I was just wondering if you received my tile for Hayden, in the mail. I had sent a shrink art necklace too and am hoping it made it ok through the mail. What you are doing for Hayden and her family is just so heartwarming and awesome !! continued prayers. I love your organic tile too. and the slide show is magnificent! !